So here she is, my dream dolly for the past 4 years. I am so lucky to finally have her in the family! Thanks to Nancy/Piccadilly, my BL family is even more special now. Her name is Abigail / Abby. I made this dress intending for Etsy but she looked so good in it, it had to be a keeper. We took a trip to Huntington Library in San Marino today and it was such a beautiful day out with so many flowers blooming! Penny went to Olvera Street with me this afternoon! 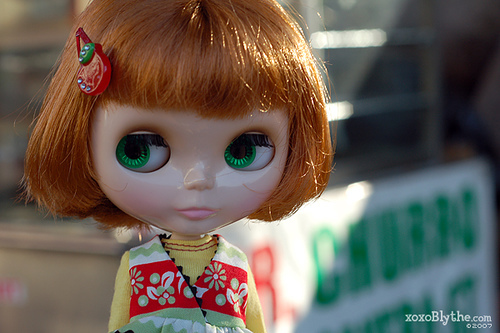 We had fun taking pics of colorful tchotchkes, browsing shops, and enjoying yummy churros.